Getting into a morning workout routine took some practice for me. I mean, getting out my warm bed an extra hour early to workout didn't sound very motivating. BUT I tried it one morning, and I loved how I felt after. During the week, I am unable to get to the gym in the mornings. So, I have created a morning workout that works really well for me. 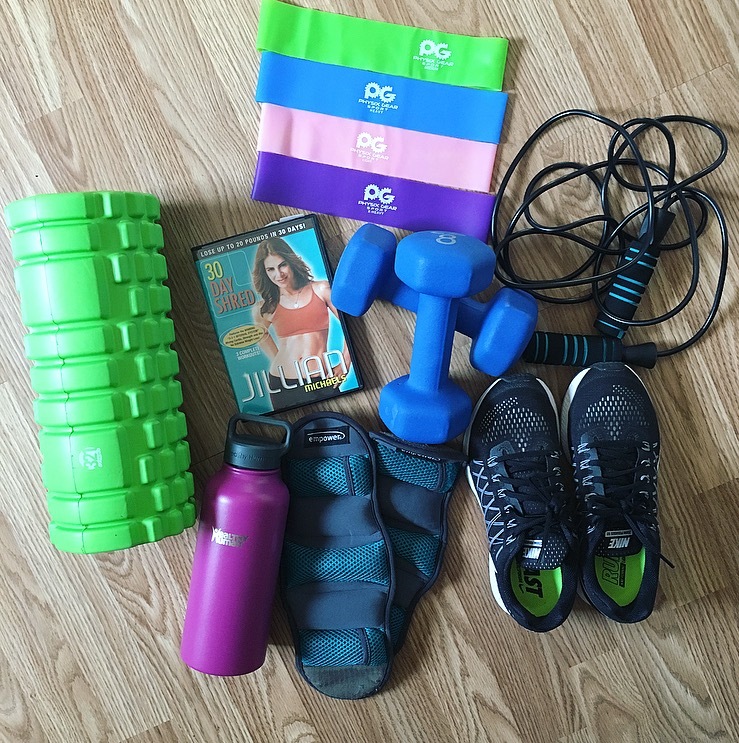 Workout DVDs are my jam! They are less than 30 minutes, but they are a really good workout. Yoga is great too! I went to Target and purchased some dumbbells, and found resistance bands on Amazon. I didn't spend a lot of money either. Even though I just started this morning routine, I feel really good during the day! My late afternoon cravings for bad snacks, and that extra cup of coffee really isn't worth it. I have more energy, and I really stay on track eating healthier throughout the day. I also have been sleeping really well at night too. My stress level is also down. Before my kids wake up in the morning, I am able to get everything together for the day- you know MOM LIFE! I find most of my workout gear at Amazon, Target, and TJMaxx. I feel like they offer the best prices on all fitness related items, and you're not going broke!